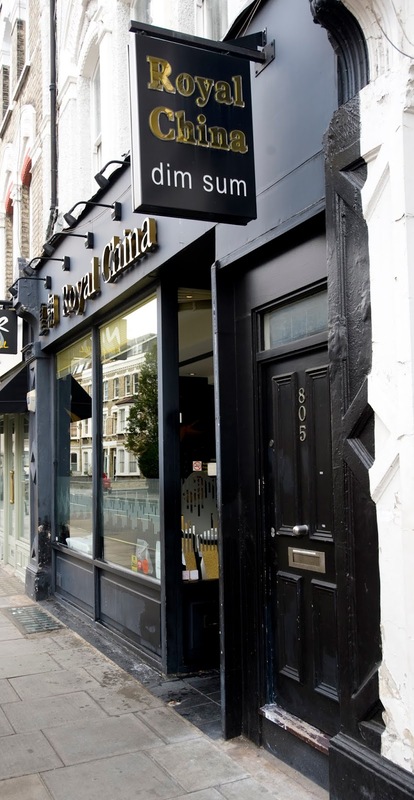 A couple of weeks ago I was invited to Royal China in Fulham to try and their menu and let you guys know that I thought. I took my friend Rachelle up with me and we made it a road trip! We had such a laugh and of course made sure we made it up there in time to get some outfit snaps before lunch. 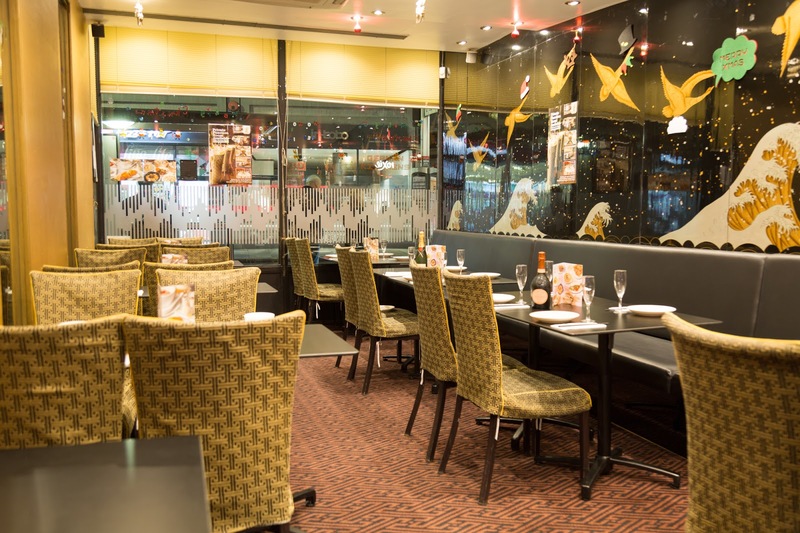 Royal China have many branches around London so check out this link to find your nearest one. The Fulham restaurant is in a lovely area with some really pretty streets and houses so we had fun getting some content shot around there. Rachelle is a great photographer so be sure to check out her Instagram account. We then made our way over to the restaurant and we’re shown to our table by the window. I was pleased we got a window seat as I had good lighting for my photography! One side had the padded sofa seating too which is usually what I opt for in a restaurant, for comfort and to minimise my back & tailbone pain when I’m sitting. We were there at lunchtime mid week and it was pretty busy so it shows how popular it is! 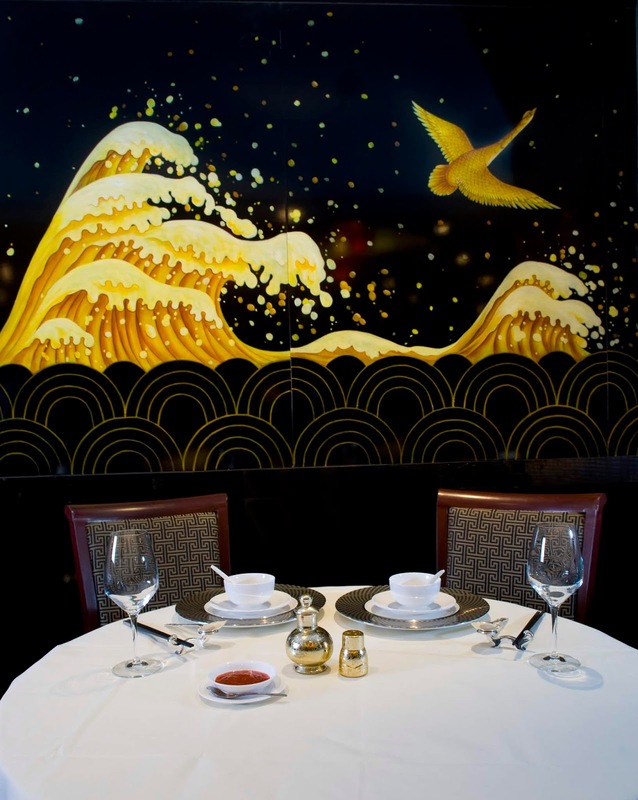 I loved the decor which was mainly black and gold and some beautiful gold murals on the walls. After perusing the menu for a while we chose to share a pot of Jasmine tea, which was delicious, and then ordered our food. We opted mainly for the Dim Sum as that had been recommended and there was so much choice on the menu, including specials. I really love having small sharing plates to pick from and then there is less chance of getting food envy over what someone else has chosen! The dishes we chose were the Honey Roast Pork Puffs, Minced Pork Rolls, Pan Fried Gyozas, Vegetable Spring Rolls, Special Steamed Prawn Dumplings and Special Sweet Red Bean Buns. Then off the main menu we had some Vegetable Fried Noodles and the Sweet & Sour Chicken. My favourite dishes were the vegetable spring rolls (always a winner! ), the Honey Roast Pork Puffs, which were so delicious I think we both could have easily ordered another couple each, and then Sweet & Sour Chicken, I love sweet and sour and this one came in a really yummy sauce with pineapple. We also both loved the Sweet Red Bean Buns, admittedly the main reason we ordered them was because they were decorated to look like little pigs and we thought they would be super cute to photograph! But they were actually really tasty as well, more sweet than savoury so I would recommend finishing your meal with those! The staff were nice and polite to us and our food came out pretty quickly. Also when they realised we were both a bit cack-handed when it came to using chop sticks they brought us knifes and forks which was much appreciated! We were both so stuffed after all the Dim Sum dishes we ordered that we didn’t want any dessert. I definitely recommend heading to Royal China next time you fancy some Dim Sum. 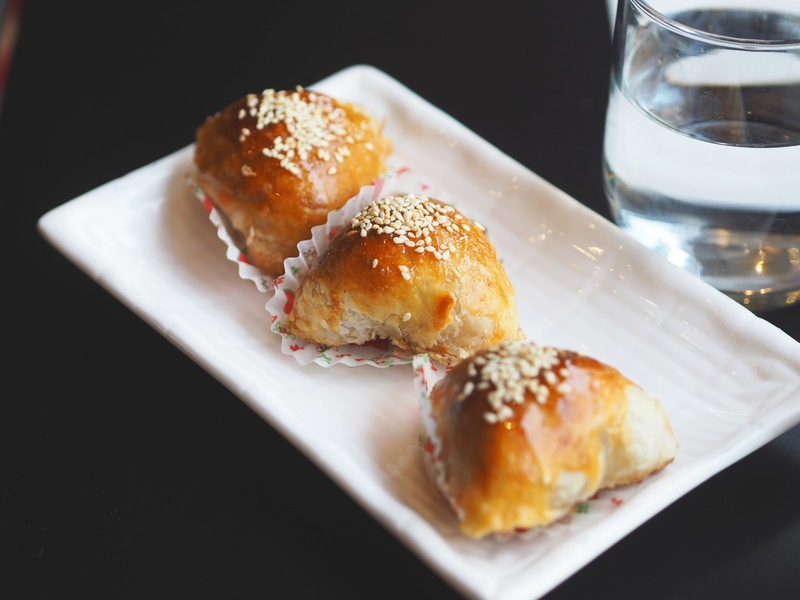 Get the Honey Roast Pork Puffs, you won’t be disappointed! Thank you so much to Royal China in Fulham for having us we both had such a lovely day! *Disclaimer: I was invited to review this restaurant by Royal China but all opinions are my own. The Sweet and Sour chicken looks amazing! My favourite! Giveaway: My Christmas Gift To You!